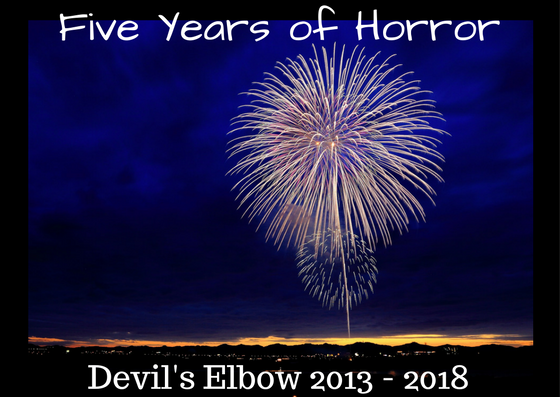 2018 brings the fifth anniversary for Devil’s Elbow. I can’t believe we’ve been recapping here for so long, and that you keep coming along for this ridiculous, terrible, wonderful ride. We’re bringing all the regular series recaps you’ve come to love (or loathe; we certainly have a love-hate relationship with a lot of what we recap), as well as some fun surprises throughout the year. Keep an eye on this space for a couple of contests with fun prizes, lots of celebratory posts, some special events revisiting old recaps, and a whole lot more. Thanks for five years of cheesy YA horror fun. You guys are the best part of it by far.